Calling all 8th Grade parents to helps with this year’s Graduation Party! 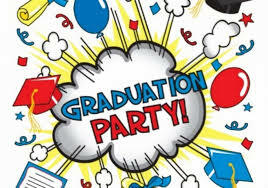 There will be an Eighth Grade Graduation Party planning meeting on February 20th at 7:00pm at the Riverside Town Hall. Anyone who is interested in volunteering to help with the planning of the party is invited to attend. Email Lisa Swicionis at lisa.swicionis@gmail.com or Tracy Stanard at tstanard6@gmail.com or Lora Gardiner at lg1124@comcast.net with questions or for more information.